Parents: Tsarevich Alexei Petrovich and Princess Charlote Chistina Sophie of Brunswick-Wolfenbuttel. 21 October 1727 - Signing of the Treaty of Kyakhta with China regulating the Sino-Russian border. Peter was declared emperor in 1727, at the age of twelve, becoming a puppet in the hands of the grandees. Before she died, Catherine I had written a will of fifteen points, entrusting power to the privy council until Peter reached adulthood. After the empress death, Menshikov moved the new emperor into his own palace and, on 23 May 1727, announced his engagement to his own daughter Maria , four years his senior. Maria was awarded the Order of St Catherine and the official title of "fiancee and ruling princess". Menshikov was promoted to the ranks of full admiral and generalissimo, while her brother became the only man in Russia to hold the Order of St Catherine, normally only for women, besides the Order of St Andrew. Maria's sisters were awarded the Order of St Alexamder Nevsky. When Prince Menshikov was ill for a month with Haemoptysis and fever, Peter managed to extract himself from his influence. He was helped by Ostermann, his sister Natalia, the Dolgorukov family and his aunt Elizabeth, all of whom had reasons to dislike Menshikov. ......1727 On 8 September 1727, Menshikov was put under house arrest. The following day, General Saltykov arrived at his palace with an order for his arrest. The prince and his family were banished to Berezov in Siberia and stripped of their property and decorations. Menshikov, his wife and Peter's prospective bride Maria all died in exile. Peter was born in Petersburg on 12 October 1715. His mother died when he was only ten days old, leaving him in the care of his wayward father. Peter the Great disliked the offspring of his disloyal son and gave the child over to the care of his sister Natalia. After the death of Peter the Great, Prince Menshikov replaced his teachers with the vice chancellor, Octermann, who left the boy completely to himself. As a result, he never garined anything more than a superficial education. He was a shy and reserved child. Peter was tall for his age and when he was fourteen looked more like sixteen or eighteen. Peter was particularly enamoured by his beautiful aunt, the charming and temperamental Elizabeth Petrovna. He fell in love with her and several courtiers mooted the possibility of their marriage. This idea collapsed, however, when Elizabeth fell in love with Alexander Buturlin and Peter's love turned cold. After escaping the clutches of Prince Alexander Menshikov, Peter fell under the influence of Prince Alexei Dolgorukov and his son Ivan. At the end of 1727, the court moved to Moscow for Peer's coronation, which was held at the Dormition Cathedral on 24 February 1728. Dim-witted, empty-headed and vain, Ivan Dolgorukov soon became Peter's intimate friend. A lover of alcohol and depravity, he led the young emperor into an exciting new world of physical pleasures and inebriation. Another of Peter's passions was hunting. Peter II was completely uninterested in affairs of state. He announced that he was an opponent of the transformations of Peter the Great and set about dismantling the institutions founded by his illustrious grandfather. 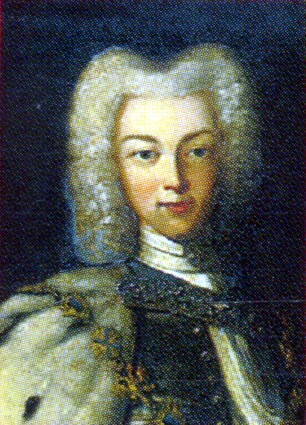 Ivan's father, Prince Alexei Dolgorukov, decided to marry Peter to his daughter Ekaterina and they were officially engaged at Lefortovo Palace in Moscow on 30 November 1729. That day the carriage driving Ekaterina into the palace got stuck in a rut. The golden crown atop the carriage fell off and smashed. Many regarded this as a bad omen. The royal wedding was set for 19 January 1730. On 6 January, during the traditional blessing of the waters on the River Moscow, Peter caught a cold. The following day, he contracted smallpox. The emperor died at Lefortovo Palace on 19 January, the day he should have been married. Histories are generally scathing of the two-year reign of Peter II, forgetting that he was still only a boy. He was buried in the Archangel Cathedral, bringing to an end the male line of the Romanov dynasty. Internet shop of exclusive Russian souvenirs "ATAMAN".